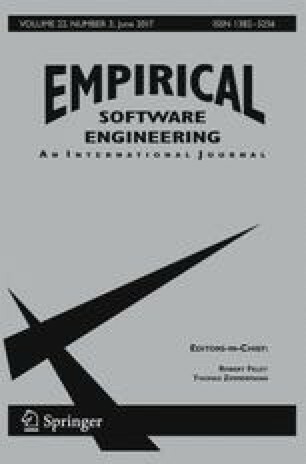 Problemframes are a relatively new approach to requirements engineering,promising benefits not only in elicitation but also in subsequentdesign, by allowing their users to select methods and techniquesappropriate to their given problem domain. In order to be effectivethis approach relies upon the correct identification of relevantproblem frames for a given problem or scenario. Hence, we examinewhether people are able to identify the correct (relevant) framesfor a given set of problem descriptions, and whether they cancorrectly gauge the relative contribution of each identifiedframe to the given problem. We note the Euclidean distance of(individual and group) answers from an expert solution, consideringeach problem frame as a separate dimension. Examination of thisdistance (or magnitude of error) allows us to gauge the accuracywith which people can assign problem frames. We compare the performanceof individuals within groups, and the performance where groupswork together to provide a collective solution, comparing bothof these with a fair-distribution strategy. We found that peoplecan choose the relevant frames with a reasonable degree of accuracy,but that this is improved where they work to provide a collectivesolution. We also note differences among groups, for example,that experience appears to improve the accuracy with which groupscan collectively choose relevant frames.